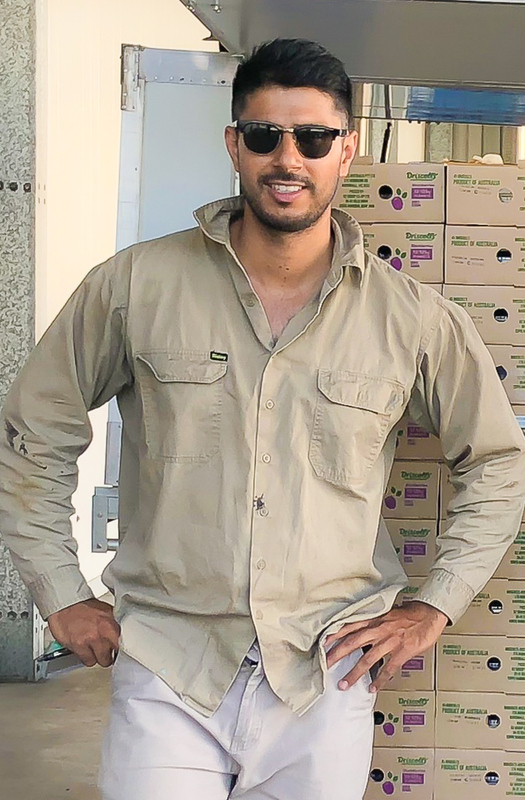 After the decline of the local banana industry, members of the Coffs Coast Sikh community formulate the partnership Oz Berries, beginning with 4 grower families. Oz Berries grows to over 18 growers, allowing local families to continue farming on the Coffs Coast. 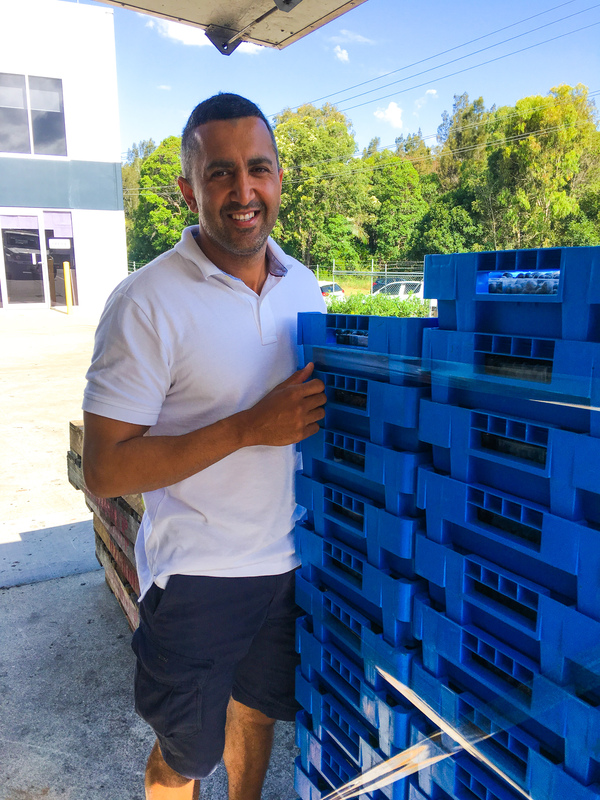 Oz Berries purchases its first purpose-built packing facility in Woolgoolga, employing over 100 staff during peak season and ensuring the sustainability of the Oz Group brand. The company continues to grow, producing over 600 tonnes of blueberries per year and hiring more permanent local staff. Oz Group Co-operative forms, allowing growers to concentrate on farming practices and allowing professionals to take over in production, accounts, marketing and distribution. Oz Group partners with Driscoll’s, ensuring a steady supply of berries for Australian supermarkets. Oz Group opens a new packhouse in Isles Drive, Coffs Harbour: allowing for greater production and more automated technologies. Brett Kelly joins Oz Group as its CEO. Oz Group continues its passion in sustainability and farming practices through the expansion of its agronomy team. Oz Group holds their first Bee Pollination Expo, allowing networking opportunities between growers and pollination experts. Oz Group continues to grow, with over 30 permanent employees and hundreds of seasonal workers employed each year. Stephen is Oz Group’s Chairman and a local businessman who owns and runs Coffs City Glass and Aluminium, as well as Northern Beaches Glass and Aluminium. He started farming as a hobby after work and on weekends when a tenant left his farmland in a derelict state after the downturn in the local banana industry. 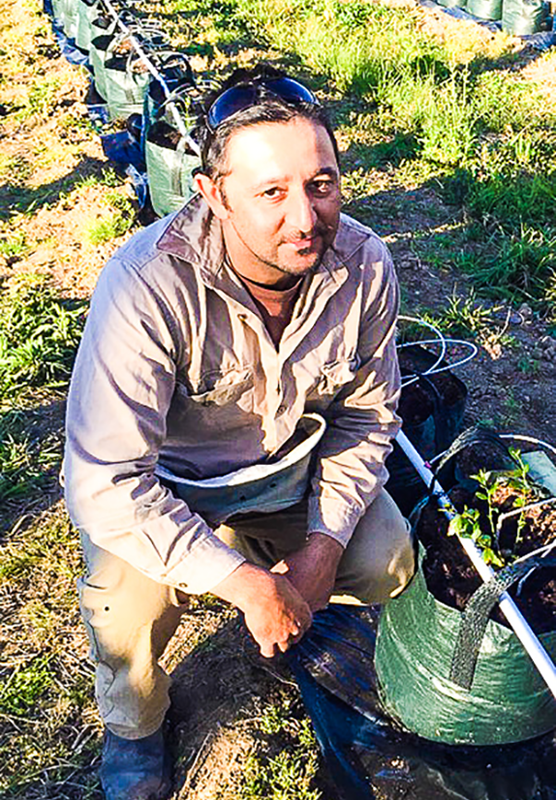 He completed a Certificate III in Horticulture at TAFE and began working on his own on one farm and started working with a friend on another. Stephen joined Oz Berries in 2005 and saw joining Oz Group as a ‘no-brainer’- he could just focus on the farming and saw his membership as a way to be able to relax knowing that his fruit would be quality controlled, packed and marketed for him. He sees the strength of the co-op in its collective nature: that when working together local farmers can achieve better things. The co-op markets for the collective and has stronger buying and selling power. Stephen was encouraged by other members of the co-op to nominate for the board of directors in 2014 due to his life experience. Having run a successful local business for almost 30 years, Stephen was able to bring that valuable knowledge with him to give insight to the board and Oz Group’s leadership. Stephen understands the complexities of the farming industry and hopes, with the help of Oz Group’s Agronomy Team, that farmers are able to maintain their compliance with government regulations. He also wishes to see a berry industry that is sustainable in the long term, with supply and demand in good balance. Garry has been involved in Oz Group since its initial inception as Oz Berries in 2000. He is a local and was a founding member. Garry and his fellow growers wanted to avoid the devastation experienced with the decline of the local banana industry. By banding together with other growers, Garry hoped to see a more quality standard of produce, more consistent returns for the growers, and a stronger and more stable local industry. Being involved in the horticulture industry for over 30 years and an avid blueberry grower, he has experienced all the ups and downs of the co-operative. Garry brings this expertise and knowledge to the board of Oz Group Co-op: having a genuine interest in carving out a sustainable future for the Oz Group Co-operative and its growers. Garry understands the strengths of being part of a farmer owned co-op and is proud of the co-op’s ability to collectively ensure quality assurance, marketing, and buying and selling power. He is pleased that the co-op is able to offer a professional agronomy team, a rural store, and that he and his fellow growers are able to concentrate on being the best possible farmers that they can be. Garry is proud of his work at Oz Group, that Oz Group is helping secure the viability of the berry industry for future generations. 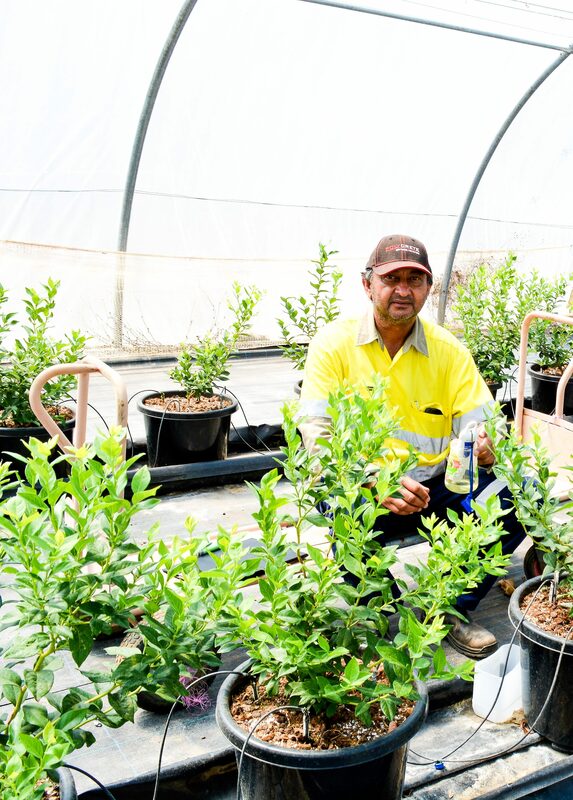 Garry hopes that through better education the public perception of the blueberry industry will be enhanced and acknowledged as a positive contributor to the Coffs Coast community. Harvey grew up in the local area and has experience as both a primary school teacher and as a Police Constable. He applied to join Oz Group in 2007 after realising the potential of working as a collective group, rather than the individual farmers he saw decline with the local banana industry. He had friends and relatives working with Oz Berries and had heard positive things about the company. Harvey saw the ability of Oz Berries to help create a viable a sustainable blueberry industry for the Coffs Coast community. Returning to the local area in 2011 after working as a Police Constable in South Brisbane, Harvey recognised the flexibility that farming could offer to him, allowing him time to spend with his wife and young daughter. He also saw the financial benefits and rapid growth of the local blueberry industry and was keen to become a part of it. He began farming with his parents in the Corindi area. His family now runs three blueberry plantations located in Corindi. Harvey joined the board as a way to challenge himself and to actively participate in the growth of Oz Group Co-operative. He has been blown away by the progression that Oz Group has made and feels privileged to have seen the company transition from a small packing shed, to a world class packing facility with automated packing lines. Harvey is impressed with the loyalty and on-going support the growers have shown the co-op. Harvey hopes to see a rise in interest of locals to work on farms and help growers to manage peak harvest times. He hopes we can lessen pressures on the farmers that have to rely on backpackers to complete seasonal work. Justin is Oz Group’s youngest board member. He grew up in Woolgoolga, helping out on his parent’s farm. Justin attended Griffith University and has completed a bachelor’s degree in International Business, majoring in finance. He then went on to postgraduate study in financial planning. His study, holiday visits home, and family background in farming has ignited his passion for the berry industry. He can appreciate the co-op’s role in helping those who love and appreciate the Coffs Coast have fulfilling careers. Justin’s family have been members of the co-operative since 2013, realising the benefits of working together, having marketing, packing and freight dealt with by the co-op and the positive impact on the work-life balance of growers. Initially a blueberry grower, Justin’s passion for farming has expanded into blackberries and raspberries, with the challenge being one that continues to drive his enthusiasm for farming. Oz Group has become Australia’s largest distributor of blueberries and a seat on the board was something that Justin simply could not refuse. He is a keen member of the board, not only with hopes of bringing new perspectives, but also recognising the growth he can obtain from working with industry experts like CEO, Brett Kelly. Justin recognises the various strengths of the co-op and hopes to help it flourish into the future. His passion lies in the continuation of the co-operative and wishes to help aid in its sustainability. He can appreciate the convenience of growers focusing on their farming and dropping their fruit off to be packed, marketed and distributed. He acknowledges the co-op’s ability to keep packing costs low and the rewarding of members through the rebate scheme. Justin is also excited about the co-op’s ability to source world leading plant varieties. Freshcare is Australia’s largest on-farm assurance program that focuses on food safety and farming sustainability. Oz Group Co-op Grower Members are all either Freshcare Certified or going through the Freshcare (or equivalent food safety) Certification. The Freshcare Food Safety and Quality Edition 4 is a Code of Practice that all growers must comply with in order to maintain their Freshcare Certification. The growers are audited at their farm annually during harvest season where the auditor checks against Code Elements covering areas including (but not limited to): Water, Facilities and Equipment, Fertiliser and Chemicals, as well as Traceability records. In January 2109, Oz Group Co-op growers participated in a pilot program with Growcom to learn more about fair employment practices in the horticulture industry. In 2010, the Driscoll’s name arrived in Australia. Through partnering with Driscoll’s, Oz Group has access to top varieties of blueberry, raspberry and blackberry plants. Driscoll’s are the marketing and distribution partners of Oz Group, located within the packhouse site in Coffs Harbour, enabling Oz Group to supply their locally grown berries Australia-wide. 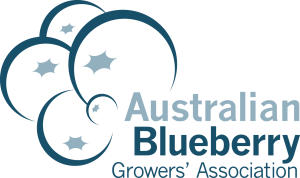 The Australian Blueberry Growers’ Association is the representative association of blueberry growers formed in the mid 1970’s in order to consolidate and progress the Australian industry. 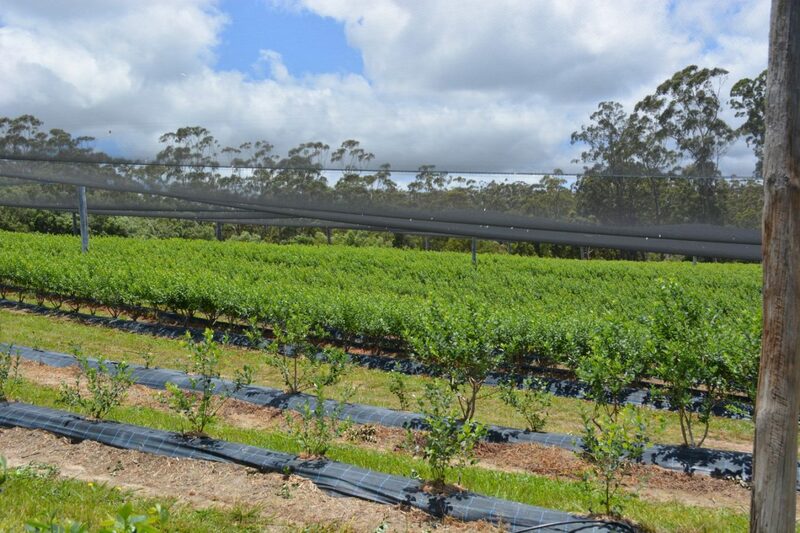 One main goal of the association is to ensure an Australian blueberry industry that produces quality fruit and is profitable and environmentally sustainable. The market is expanding worldwide due to the recognition of the blueberry’s great flavour and health benefits. Mountain Blue is a family owned and operated company, established in 1978. Through its partnership with Mountain Blue, Oz Group has access to the latest blueberry genetics and newly developed blueberry varieties. Blues and Berries is a celebration of the rich agricultural history within our local region and awesome Blues music. Woolgoolga and the Northern Beaches has been known for decades for its plantation crops and increasingly in recent years, blueberry farming. Our area is widely known as the ‘Berry Capital of Australia’ and as such Blues & Berries will recognise and instil pride in this title. Bring a chair, a picnic rug and get set to eat some amazing food and listen to the sounds of the Blues music with our awesome beach as the backdrop. 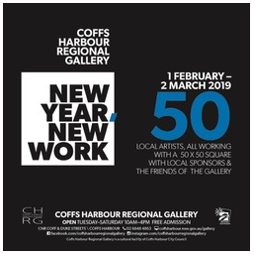 Featuring over 50 local artists, New Year: New Work reveals the vitality and diversity of the Coffs Coast arts community and brings art and business together. Presented as a partnership of the Regional Gallery, Friends of the Gallery and the Coffs Harbour Chamber of Commerce, each artwork is supported by a local business. The artists have had free rein to create what they want with a square piece of plywood – be inspired by their imagination.